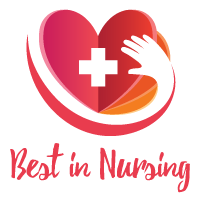 The American Health Council recently selected Denise Bell, BA, ADN, BSN, MPH to its Board of Nurses for her outstanding contributions to the nursing field. As an infusion nurse at Smilow Cancer Hospital at Yale New Haven Health in Hartford, Conn., Ms. Bell provides an array of services in oncology and cardiac nursing to ensure that each patient receives immediate high-quality care. While she has retained her current role for nearly one year, Ms. Bell has spent nearly a decade acquiring skills that lead her to become an invaluable member of the nursing field. Influenced by her mother — who was a nurse herself — and inspired to help others, Ms. Bell decided to pursue a career in nursing. After earning a bachelor’s degree in nursing, she enrolled at the Southern Connecticut State University and earned a Master’s in Public Health in 2016. She eventually found a home at Smilow Cancer Hospital where she administers chemotherapy and other cancer medications and treatments to patients. Additionally, Ms. Bell assists oncologists with treatment procedures and examinations, monitors and updates patient treatment progress reports daily, collaborates with healthcare providers to properly and efficiently provide care to patients and educates patients and their families about chemotherapy and infection prevention. An active member of the nursing field, Ms. Bell ensures that she continues to evolve and connect with other healthcare professionals through several associations, including the National Black Nurses Association, the American Association of Critical-Care Nurses, the Connecticut Nurses Association and the American Nurses Association. In addition to seeking education and tools through several organizations, Ms. Bell mentors nursing students through the Northern Connecticut Black Nurses Association. In her spare time, she enjoys reading and traveling. With a successful career at hand, Ms. Bell plans to dive into the health policy field to improve healthcare. Smilow Cancer Hospital treats more cancer patients than any other hospital in Connecticut. A team from one of Smilow’s 12 cancer programs is available to discuss each patient’s diagnosis and therapy options. Smilow Cancer Hospital is a leader in personalized cancer care through innovative tumor profiling techniques used to analyze every patient’s cancer. The center offers the latest in screening and diagnosis, genetic counseling, treatment, psychosocial support, pain management, rehabilitation and long-term, follow-up care.